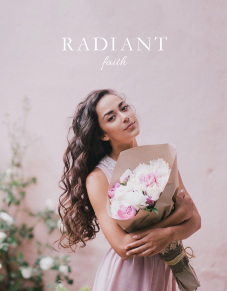 Radiant is a quartely magazine for young Catholic women that spreads the beauty, truth and goodness of Christ and His Church. With stories that uplift, inform and inspire, Radiant helps women grow in virtue and holiness with style, joy and grace. I understand that my credit card will be automatically charged quarterly. I also understand that I will receive notification via email before my card is to be charged, and that I may cancel my subscription at any time.